New Orleans’ infamous restaurant scene can be overwhelming. In fact, even individual neighborhoods are dense with so many unique, locally owned bars and restaurants that it’s hard to know where to begin! Locals have time to do the legwork — some consider it a personal badge of victory to try all the restaurants in any given area; others keep detailed spreadsheets of restaurants they’ve tried and where to go next (seriously!). With the French Quarter in mind, here’s a list of a few standout places where locals eat in New Orleans. Brennan’s — Brennan’s is a fine-dining institution we’d recommend any meal of the day (and any day of the year)… but locals know it’s all about their breakfast. With a James Beard-nominated chef at the helm and fresh off a stunning interior renovation, Brennan’s is the most unforgettable place to start your day. But maybe not the healthiest…you must order the Bananas Foster. Cane & Table — This Decatur Street gem offers an “All You Can Drink Brunch” experience every Saturday and Sunday from 10:30 a.m. to 3:00 p.m. for $45 a person. Cane & Table is best known for its island-inspired cocktails and “rustic colonial cuisine.” The petite restaurant stretches out into a quaint and colorful courtyard, making it a fun spot for a boozy brunch. The Ruby Slipper — With multiple locations across town, this locally-owned chain specializes in New Orleans style breakfast delicacies in a casual setting. Choose from classic Louisiana dishes like BBQ Shrimp & Grits or opt for Tex-Mex inspired plates like Migas (egg scramble with onion, tomato, cilantro, pepper jack cheese and spicy chorizo). For more breakfast and brunch recommendations, check out our sister property Bienville House’s picks for the 10 Best Spots for Brunch in the French Quarter. The Broiled Lemon Pepper Salmon Steak is one of Criollo’s newest lunch menu items. Criollo — Locals know that lunch is where it’s at, and locals who work in downtown New Orleans flock to our very own Criollo Restaurant. It’s a great backdrop for doing business or just relaxing for a leisurely lunch. The Criollo Classic Reuben Sandwich and Smoked Turkey Waldorf Salad with Granny Smith apples, roasted walnuts, and seedless grapes are two dishes that our regulars keep coming back for. El Patio Mexican Kitchen — A new addition to the Warehouse District, El Patio serves authentic Mexican cuisine and features an expansive outdoor patio area aptly called a “tequila garden.” This casual dining spot offers all of the dishes you’d expect from a Mexican restaurant plus a few unique options including duck meatballs with peanut mole, chorizo verde boudin balls, mussels steamed in tequila and lime, chicharones, and grilled octopus (via Eater NOLA). We also suggest checking out their happy hour menu. Green Goddess — With an extensive list of gluten-free and vegan menu items (plus plenty for picky carnivores), Green Goddess is a healthy choice for lunch that doesn’t feel in the least bit like a sacrifice. Case in point: the kale salad tossed with sugar cane vinaigrette, roasted nuts, barberries topped with burrata, roasted beets, and crispy kale garnish. Locals love Latitude 29 for happy hour and late night tiki drinks and tropical bites. Latitude 29 — Get there for happy hour and stay for dinner amid the coolest retro interior and Polynesian-inspired fare. The drinks are like a vacation in a glass! 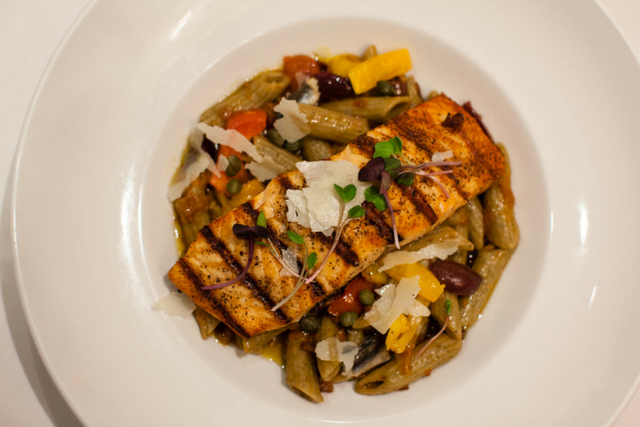 Whether you need gluten-free, vegetarian, vegan or carnivorous options, you’ll be in luck. Our favorites? Well, it’s hard to pick just one, but we love starting with the Taro Chips (served with sides of Kimchi Ketchup & Sriracha Mayo), followed by the Green Curry (perfect for vegetarians!) 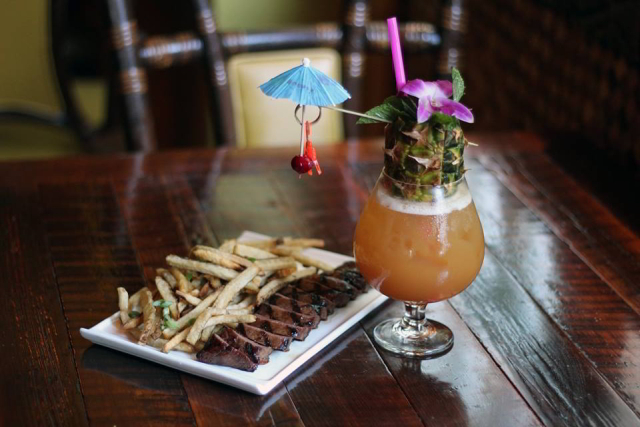 or the Tahitian Steak Frites. Cochon Butcher — For the meat eater in your Monteleone group, Cochon Butcher boasts a smorgasbord of house-smoked meat sandwiches and daily dinner specials. This heavy-hitting favorite also features an array of indulgent small plates and side items like sweet and spicy brisket sliders, duck pastrami sliders, hot boudin, and creamy mac-n-cheese. If you’re visiting the museums of the nearby Arts District, consider Cochon Butcher as your dinnertime destination. Verti Marte — French Quarter locals have relied on this 24-hour deli for years. Perfect for late night takeout or delivery, Verti Marte serves up a variety of po-boys as well as vegetarian options. A favorite among locals is the All That Jazz, a sandwich stacked with ham, turkey, sautéed shrimp, mushrooms, and Swiss and American cheeses. New Orleans is one of the top culinary destinations in the world and the Hotel Monteleone is located right in the heart of the city’s hottest culinary neighborhood. The French Quarter is home to some of New Orleans’ most beloved neighborhood joints and extravagant fine dining institutions, and you can try them all any time of the year. 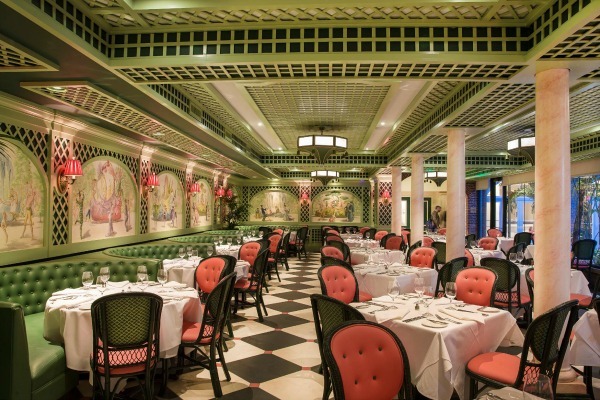 Start your food-filled French Quarter vacation at the Hotel Monteleone.